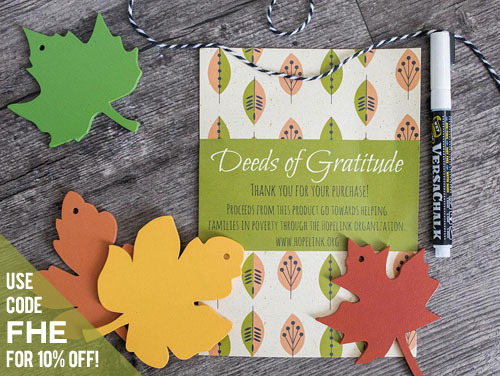 A Year of FHE: Make Thanksgiving meaningful with "Deeds of Gratitude" + a COUPON CODE! 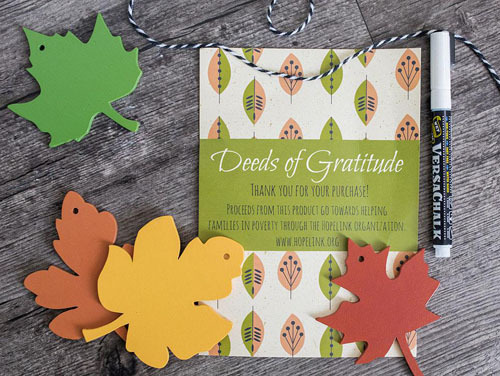 Make Thanksgiving meaningful with "Deeds of Gratitude" + a COUPON CODE! 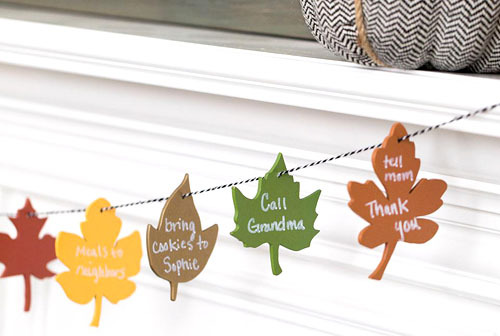 Are you looking for a way to spread thankfulness and service throughout the entire month of November in your home? This Deeds of Gratitude kit by New Tradition Crafts (the same company that brings you 25 Days of Christ in December) is the perfect answer! 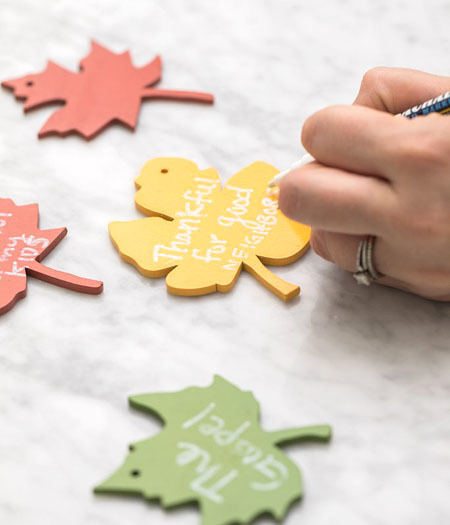 This new Thanksgiving activity will inspire your family to take positive action to show gratitude for the blessings in life. This take on a common holiday tradition will have your family living gratefully instead of just talking about it. This kit is beautifully made and so easy to use! Display your blessings and thoughtful acts to remember things worth celebrating. 1 white chalk marker to write your blessings and acts on the leaves. The chalk marker can be wiped clean from the leaves for reuse year after year. A ball of twine to use in a variety of ways to display the leaves. I am SO excited to start this new tradition with my family this year. You can get your kit in plenty of time to make November a month of reflection, gratitude, and service for your entire family. I am so happy to get to share a coupon code with you worth 10% off your order! Get both the Deeds of Gratitude kit AND the 25 Days of Christ kit so you are all set for the holidays! Use the code FHE at checkout! CouponsCode.net is an online Coupons website that offers a wide range of coupons, coupons code, Coupon codes, promo codes, sales, cash back offers, gift card deals from all your favorite stores. CouponsCode is one of the most visited Coupons websites on the Internet, with billions of monthly shoppers shopping, such as Mother's Day, St Patrick's Day, Christmas, Remembrance Day, Valentine's Day, Thanksgiving etc. Our goal is to meet all expectations and deliver the best coupon codes and promo codes.